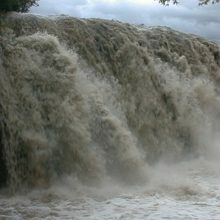 Smart tourists often collect as much as possible tourist information before they even book their cheap flight tickets. 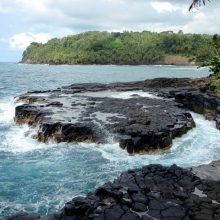 These days it is very easy to gather about all the attractions to see and the adventure activities to do in your intended place of holiday destination. There is certainly no dearth of information. Here I am sharing details about 9 Beautiful and Scenic Small Towns of the Greek Islands. I know Flotilla organizers are highly informed cruise operators. Since their passengers are taken to a minimum of 20 islands on a 14-day voyage, it is their pleasure to show their guests all the beautiful and scenic towns, villages, and camping sites in small and big islands they moor their yacht. Flotilla tours are very popular in Greek Islands. Though not all the 227 inhabited islands are possible to step on during a two-week cruising, I firmly believe you will be taken to a minimum of 20 inhabited and 5 uninhabited islands. I wish you note down the following 9 scenic and beautiful small towns in various Greek Islands so that, you can instruct your Flotilla skipper to take the group of people to such places of beauty. I am sure you will earn the respect of the ship’s captain as well as the fellow travelers. On your cruise holiday in Greece, invariably, your yacht’s first stop will be in Mykonos Island, a very popular island in Greece for stunning looking beaches, great views of the Aegean sea from cliffs, a Venice-like place called little Venice, and the brightly painted town-houses of the local residents, etc. In Greece, everybody has faith in the famous Greek Mythology. The Mykonos town’s name itself is a proof; Mykonos was believed to be the son of Apollo, the sun God in Greek mythology. 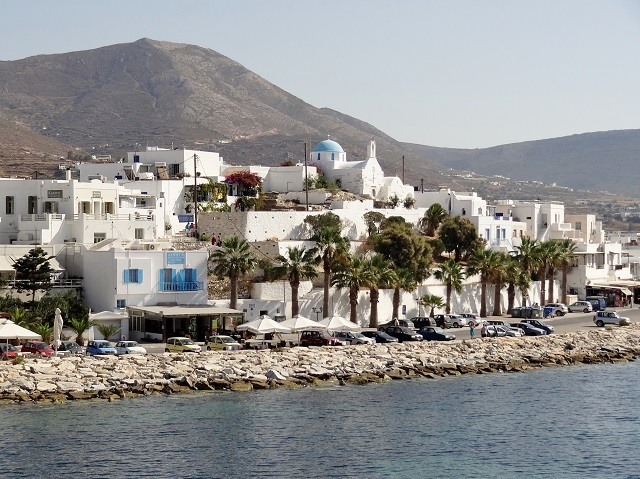 Mykonos town has another local name that goes by Chora. The Chora Mykonos is more of a big village than a scenic town. 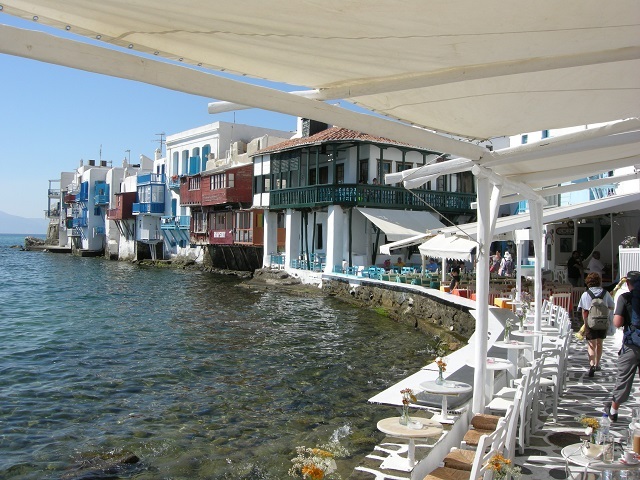 If you take a stroll in the beautiful Mykonos town, you will see the streets are rather narrow, the houses have no space in between them, various bold colors are painted on the outer walls, and they are all built with balconies or small sit-outs. In the hot sun, it will be difficult to really enjoy the sight of cafes on the street corners and the cute boutiques. In every small town in Greece, you will find numerous souvenir shops that display myriad paraphernalia such as jewels, seashell artifacts etc. Oh, you will not fail to see and appreciate the famous windmills as they are strategically located on a hill. That’s a scenic place really. It is described as a village but it looks much more to me. The moored boats indicate fishing is the major activity in this beautiful Greek village. I am sure the boats are also used for taking tourists on the sea. Fiskardo village is located on the Ionian island called Kefalonia. 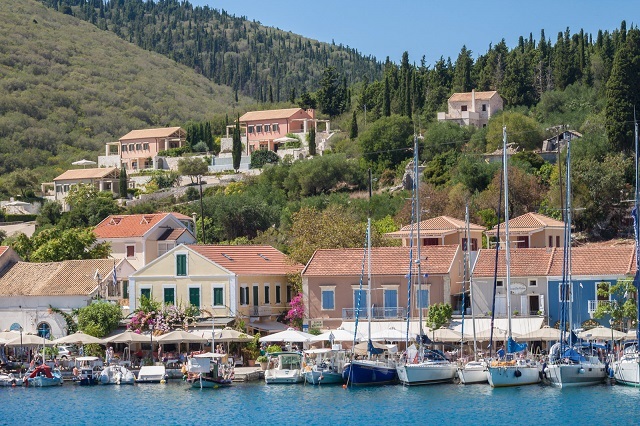 Along with the scenic Fiskardo village, there are 300+ more villages in Kefalonia Island. If Fiskardo is just an example, I am sure the rest of the 300 and odd villages and towns must also be beautiful. Fiskardo’s beaches are surrounded by pebble beaches and trees. Another beautiful attraction in Fiskardo village in Greece is the “coves” which are naturally formed lagoon. 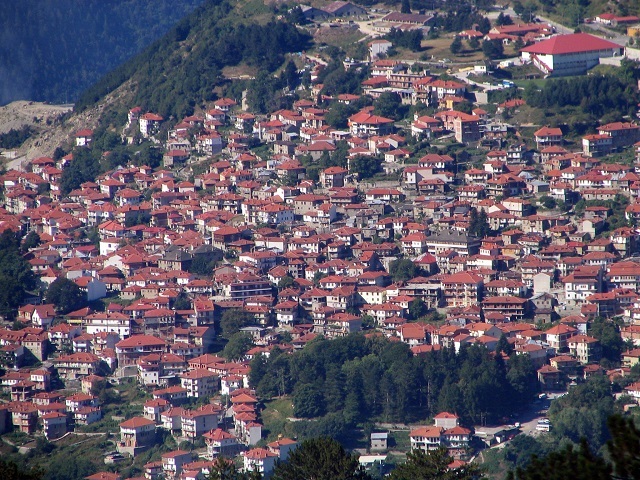 Metsovo is a mountainous town in Epirus near the west of Macedonia. 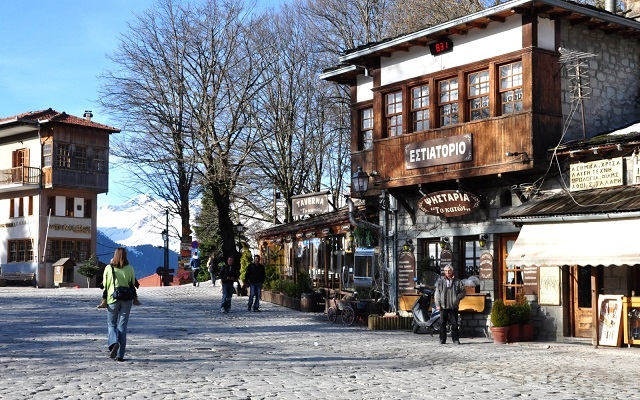 The beautiful Greek town Metsovo is situated in the Pindus mountains. Look at the cluster of small houses on the Pindus Mountain. I think several tourists to this scenic small town in Greece have decided to settle down here, impressed by the lovely, picturesque location. The cheese made by the locals is said to be delicious. Hey, these Greek islands are all gorgeous-right? Look, every small island on the Aegean and Ionian sea is with a mountain in the backdrop. 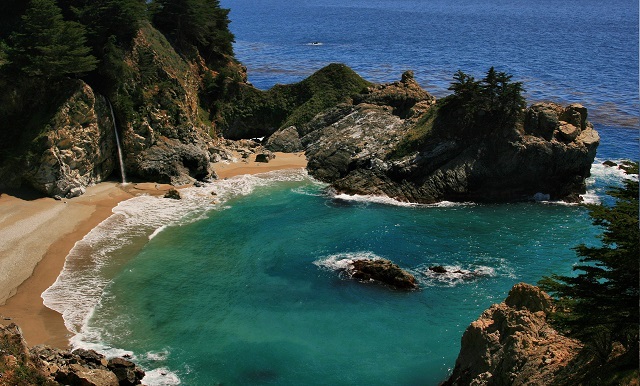 At any given time, the view of a sea from an elevated land is more awesome. 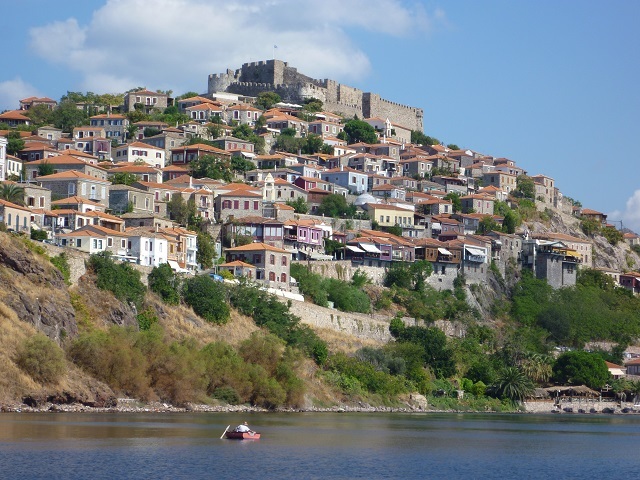 The small and beautiful town Mithymna is located on Lesbos island. Mithymna also goes by the name Molyvos. 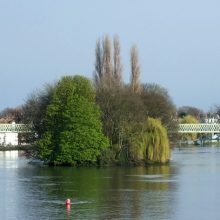 I don’t see any fishing boat on the image except a small one. Maybe someone lone tourist must be practicing kayaking. Surely, Mithymna is one the prettiest towns in Greece. Look, another beautiful small town in Greece’s Paros island. 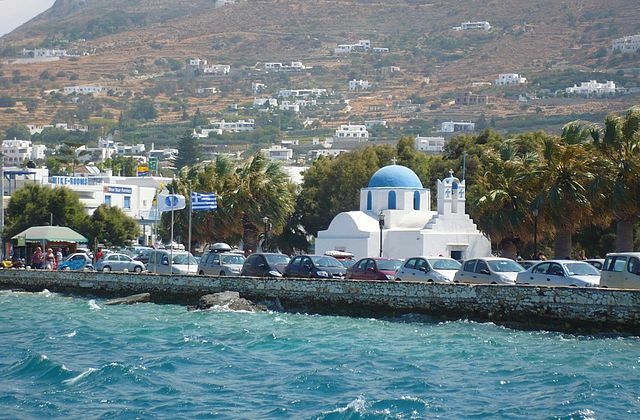 Parikia also serves as the capital of the Paros island. The whitewashed houses are all typical Greek settlements. An idyllic small town with cobbled lanes is the place to see on your Greece cruise holiday. 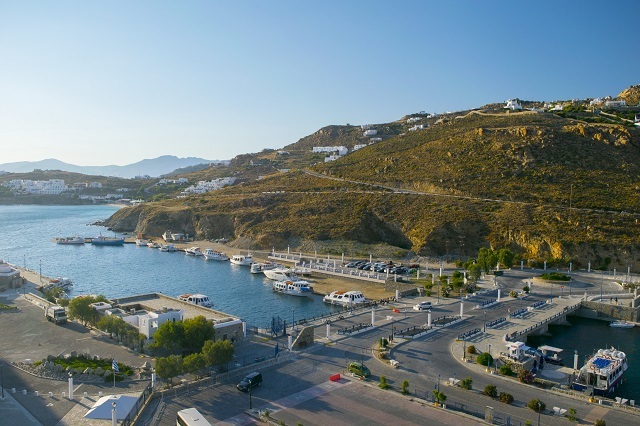 Since Parikia is found on the way to Santorini, an island of importance among other Greek islands, your vessel will surely make a brief stop here. It is reported that the vibrant nightlife in Parikia, centers around the port’s small restaurants that serve piping hot seafood. That castle among small whitewashed houses in Chora looks incongruous. It is the castle of Patmos. But then, that is how the small and beautiful towns of Greek islands are. Chora has a small Christian population. If you walk in the narrow lanes of Chora, you will find typical Greek houses that are built attached to each other or only a few centimeters of space between them. It seems the local residents hardly ever come out of their houses till dusk due to hot weather. 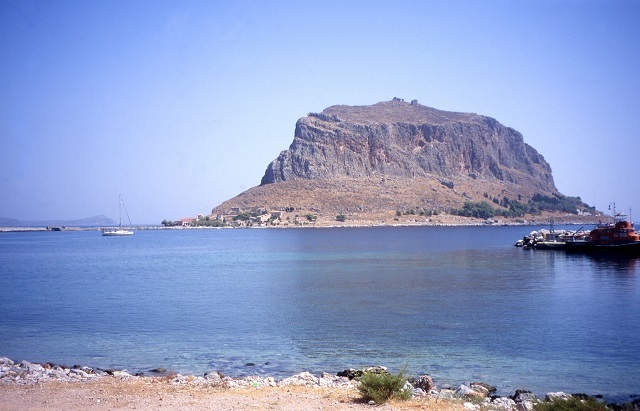 Monemvasia in the Laconia region, Peloponnese peninsula. A short visit to these scenic small towns and villages in Greek islands will make your flotilla vacation memorable and refreshing. All of these are so beautiful, very informative post. Loved reading it.